Since several people have asked, these coins do not carry a "W" mintmark like the proof (mirror finish) issues. 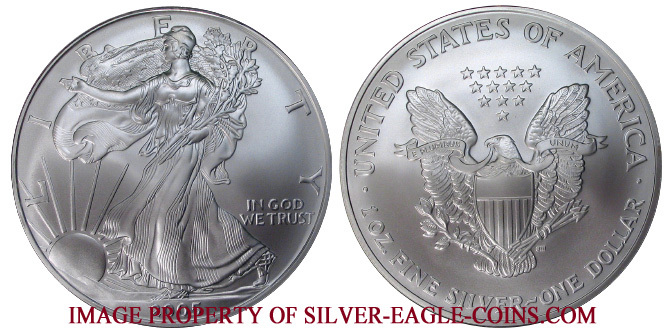 There is no mintmark on uncirculated silver eagles since the government produces these coins mainly as silver bullion for investors rather than coin collectors. 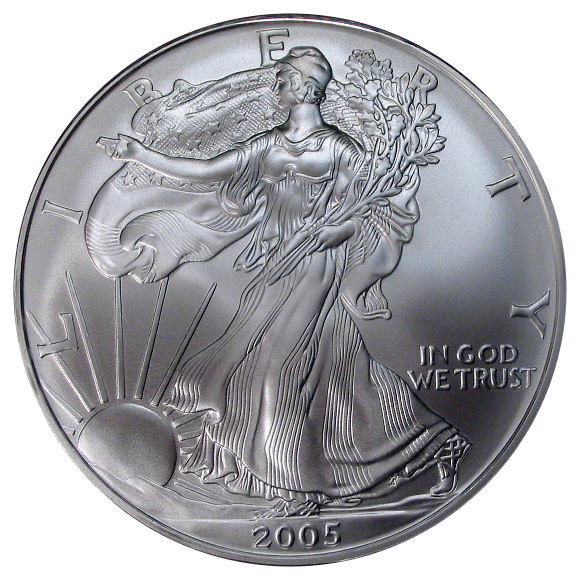 However, the fact that the coin is one of the most beautiful coins ever minted has elevated it's status from a bullion coin to a highly sought after collectible.